The spiritual world is like the Alaskan wilderness. It will eat your lunch on the count of one if you don’t have a guide. This book is about living the life God designed you for, a free life full of adventure, warfare, and passion. You’ll learn how to navigate through the fog and mist that keeps safe, religious men at home. Sadly, most men have never had a guide, someone to lead them through the spiritual and the physical wilderness. As a result, we have generations of men flying blind in a hostile environment crossing their fingers that the clouds they’re navigating through don’t have rocks in them. 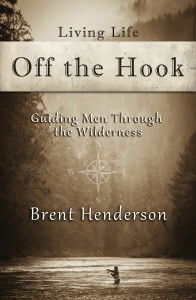 Living Life Off the Hook will guide you through the wilderness and equip you to face the harsh realities of the unseen with overwhelming force.